...how completely mental this sport is. I've been pretty sidetracked these past few weeks. I've just had a lot of other stuff going on and training has taken a very back seat...and things are just going along at a clip I can barely keep up with so consequently I've been really tired. So tired that I was pretty sure I wouldn't make it to swimming on Tuesday morning. In an attempt to head off the impending complacency (ok, exhaustion-as-an-excuse) I phoned Weasel Boy to be sure he was going to swimming and to TELL him I'd be there so that SOMEONE would know I was going to show up. And that ended up being a good idea because when the alarm went off at 5:30, the only reason I dragged my rear out of bed and into the car and off to the pool was because I told Weasel Boy I would. So I get to the pool and I have a dull headache and it was all I could do to keep my eyes open for the 20 minutes I spent driving down the interstate...in short, I felt like crap and the last thing I really wanted to be doing was spending an hour working hard. When I got to the pool deck, I realized that there were about 15 people there for Masters which is pretty crowded. I walked up to Coach with a bit of a glazed look and said something like, "Big crowd today, huh?" to which she replied with a nod yes. With a meek little voice I said, I thought-under my breath, "I'd be happy to go home." to which she said, "NO, don't go home, quit your whining and get in the pool!!" I felt like I'd been hit in the head with a two by four. But it ended up being exactly what I needed to hear. It knocked me out of my haze, got me into the pool and I had a good practice...it was a hard practice and it didn't even hurt that much. I thanked Coach at the end for telling me to quit whining and she laughed...but I was serious. That's how mental this sport is. I just need to be able to dope slap myself sometimes. Sometimes you just need to be able to take a step back and remind yourself that things could be so much worse. On Thursday I didn't make it to the pool at all. I felt guilty about it because I had a race this weekend but it was just more important to sleep that morning. I've been dreading this race because it was early Saturday (today) morning so I had to pack my stuff up on Thursday night so I could leave from work on Friday and drive 4 hours to immediately go to sleep so I could get up at 4:30 for a 7 am start. I put off packing until Friday morning before work - and I knew I had to race because, as Vertical Man would say, "Pain is temporary but quitting is forever." And again my mental state was all that was causing the dread...and once I'd decided that I was going to deal, I packed all my stuff and found that I was actually looking forward to it, even after all that dread. It was a race. It would be great no matter what. That's why I do this. And then when I got to work, I got an email that it had been cancelled due to Hurricane Ophelia. Something about 40 mph winds on the bike course. DRAT!! I was actually disappointed! After a bit of being disappointed I realized that it was probably fate stepping in to take over for me - someone else made the decision for me and I guess I just wasn't supposed to race. But what a yo-yo mind game. I think I'm better now. One more race two weeks from now - a half marathon - and I'm not at all ready for it. But I will be. There will be walking, it will likely hurt more than it should, but now I'm excited to focus on it and I think my mental game is back on. I just needed to cut myself some slack and get a few good nights of sleep...there's a lot going on. Somehow the cosmos knew and took care of it for me. So this is a bit of a ramble - I've wanted to post a ton this week but work is just too busy as one of my co-workers just left and there are only two of us to pick up the slack. Bear with me - I'm still relying on all of you and have been reading everyone's blogs despite the fact that I've been kind of quiet. You all are providing more inspiration and strength to me than you could possibly know. So thanks. 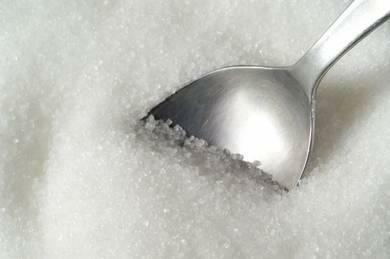 I thought this was an especially good article about different types of sugars and how they enhance or detract from our training productivity. It also gives a great run-down of the best sports drinks at the end...well worth a look. Hey ya'll. Sorry for the hiatus...I had grand plans to write all about my great race but alas, my family is more important so that was my priority last week. I'll be spending a bunch of time over the next several months getting better acquainted with The Lance Armstrong Foundation, the American Cancer Society, and Team in Training. If you don't already donate or volunteer or race for these organizations, I'd encourage you to get involved in any way you can to fight this insidious disease.